What once was isolated to episodes of the Jetsons is now becoming a sudden reality. The smart home has started to take over America in the past few years, with nearly 29M households having at least one smart device as of 2017 according to McKinsey. With intelligent voice assistants giving our home a literal voice, and smart thermostats increasing our comfort and convenience, it is easy to see why many are investing in making their homes smarter. There are many use cases for the smart home which are driving consumers to purchase these devices, the most popular of which are safety/security, wellness monitoring, smart appliances, smart entertainment, and energy management, according to McKinsey. Specifically, devices that lend themselves to energy management either as a primary or secondary function are becoming a focus for consumers as a way of mitigating the high cost of smart devices. But despite the number of new devices on the market aiming to fulfill this energy management use case, it doesn’t mean all of them will actually save energy, or the ability to automate the home will lower energy bills. This begs the question – if the ROI is not net positive, what is the point of energy management devices? Consequentially, this results in slow adoption of energy management technology within the utility sector as its total potential is not yet fully understood. To help bring clarity to this issue and understand how to build a true energy saving smart home, we reviewed the research around this subject. Evaluating the energy efficiency potential of a smart home has been a fairly complicated task for researchers out there. One must first ask – what is a smart home? Are there a certain number of devices, mix of devices, or intelligence level of devices required to meet this definition? On top of these variable deployments, other factors need to be taken into account, such as the occupant’s behavior, the weather, and condition of appliances in the home. Three studies, in particular, have done due diligence on this subject. According to ACEEE’s, Energy Impacts of Smart Home Technologies report, various devices have individual energy savings potentials (e.g. Smart ceiling fans can save 4-11% on cooling, smart lights can save 7-27%, and smart thermostats can save between 6-10% on heating/cooling), but the best way to realize the energy efficiency potential of the smart home is through whole home management of multiple devices. “The true potential for energy savings in the smart home lies in reducing energy consumption through better management. And better management lies in optimizing our home’s energy-consuming systems. We can align their operation to our preferences and reduce unnecessary energy use. Smart technologies can yield higher overall efficiency through better controls, communication, and response.” Not only that, but ACEE goes onto say, “Whether or not the grid is calling for demand reductions, we can take advantage of an energy pricing structure (i.e., time-of-use rates) and control our smart systems around peak demand periods.” By using real-time energy data, wireless communication, and intelligence, devices gain the ability to make a measured energy impact and prove savings. In the report, Sizing the Potential of Behavioral Energy Efficiency Initiatives in the US Residential Market, McKinsey & Company found that smart home technology innovation that specifically enabled behavioral energy change would help to increase energy efficiency. For that to happen, a smart device at a minimum would need to be able to show its historical energy usage. However, this would still not have a large impact since it would miss the connection of how it relates to the whole home. 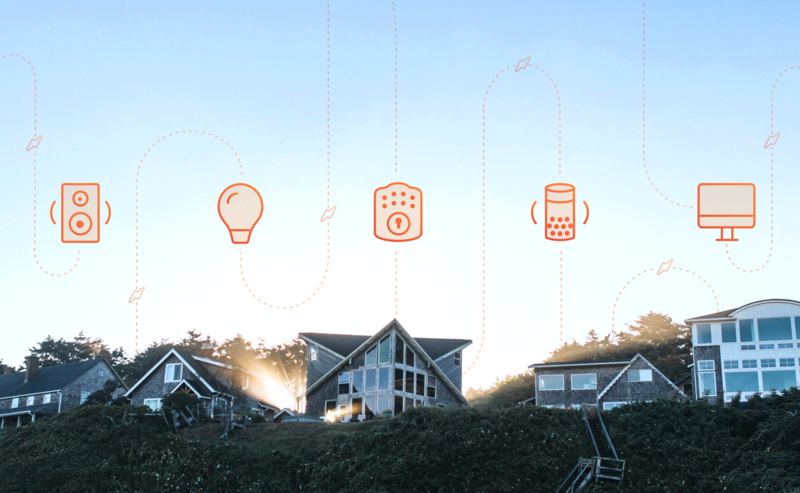 In order for smart home technology to affect the kind of behavioral energy change, McKinsey & Company argues, it would need to be connected to the whole home’s energy consumption with real-time energy information available. Real-time energy consumption alone has been proven to have an 8-9% energy savings. Adding a smart thermostat bumps that up to 10%. Going beyond the thermostat, to the water heater, lights, computer, cable box, washing machine and more will only continue to increase energy efficiency within the smart home, as long as the devices clearly tie back to energy consumption and whole home consumption. Now let’s take this a step further. To increase the impact of smart devices on energy consumption, McKinsey & Company suggests having utilities take the energy information they collect from individuals to provide tailored energy-saving advice. Conclusion: Energy Savings is Possible if . . . Choosing the right platforms and devices will be key to cashing in on the extra benefits the smart homes can provide. Utilities providing complimentary services and products can ensure that energy efficiency and the smart home go hand and hand.